It’s been a busy couple days with the IGF meeting in Nairobi. 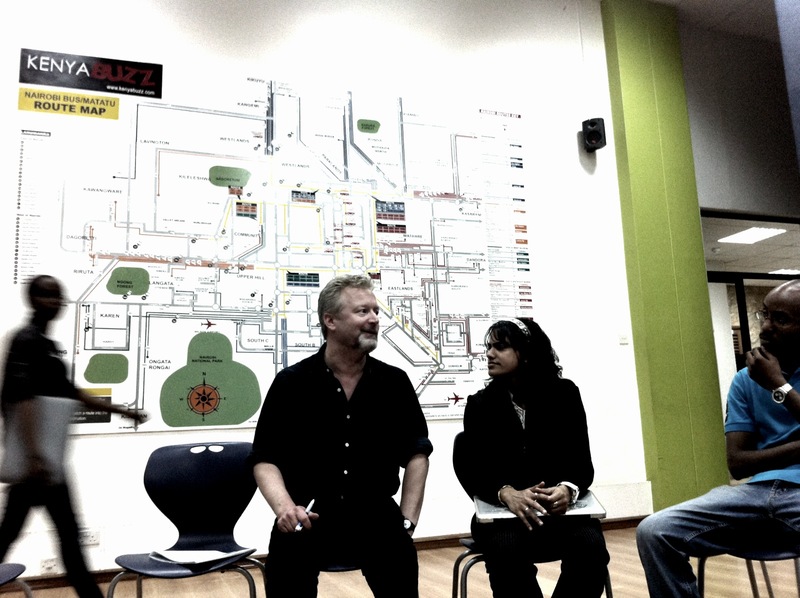 I sat on 2 panels, one on cloud computing and how it relates to emerging markets, and another on privacy and security in an open data, realtime, networked world. Both extremely interesting, where I had to put my iHub and Ushahidi hats on to answer questions. We also had some fascinating guests, including Vint Cerf (Google), Richard Allan (Facebook) and the VP of the EU. 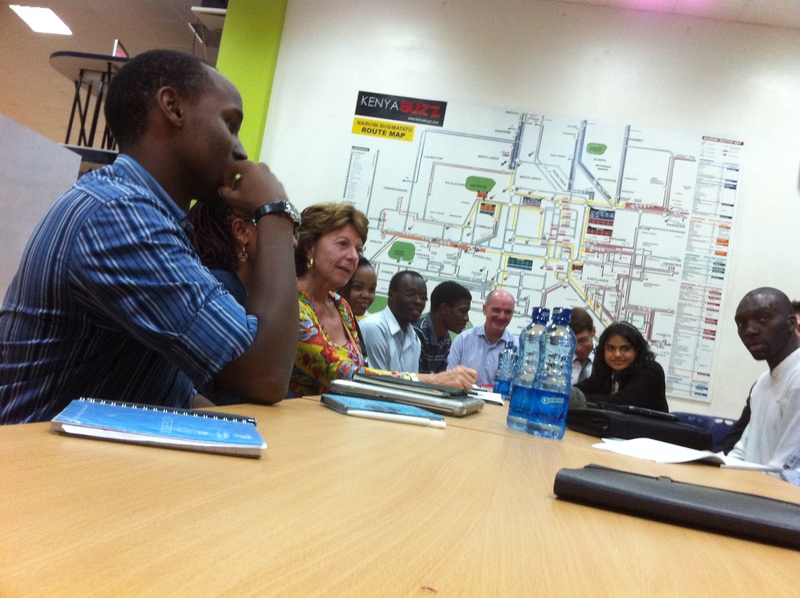 It started off with helicopters and bodyguards as the European Union Vice President, Neelie Kroes, visited, speaking with a number of startups operating out of the iHub and the m:lab. We made the case for the open web and the light touch that the Kenyan government has had in regulation and why that has allowed innovation to flourish here. Richard Allan is in charge of policy for Facebook in Africa, the Middle East and Europe (I put them in that order on purpose AMEE sounds better than EMEA, after all.). It was especially fascinating to have someone of Richard’s calibre within Facebook visiting so shortly after the big changes that the social network has had in the last week. There was a healthy discussion around privacy, the new HTML5 “Spartan” push at Facebook, and thoughts around how local devs could take advantage of the Facebook platform to make apps and money. He also mentioned that any dev could go to their jobs area and start testing to see if they’re good enough to make the team. 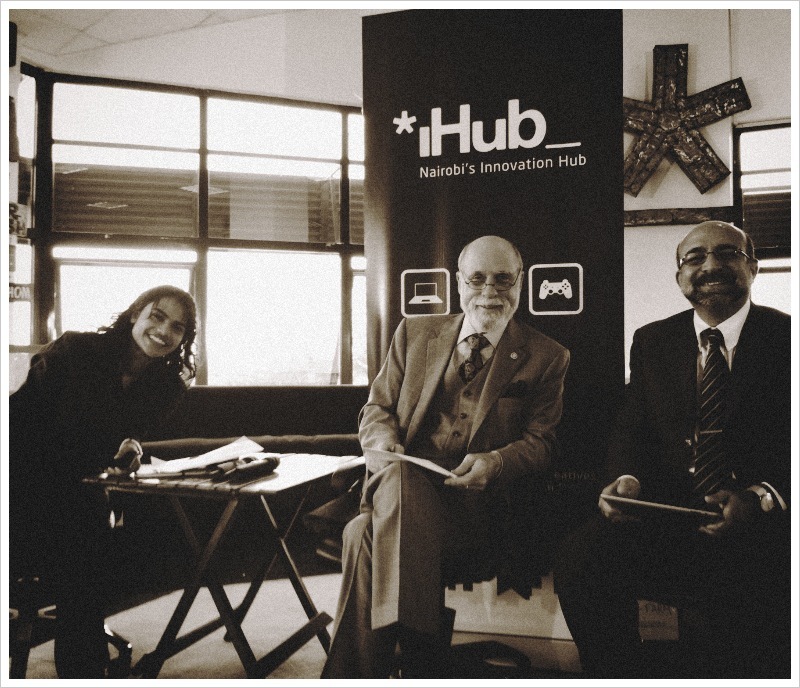 Yesterday Vint Cerf, one of the founding father’s of the internet and a VP at Google, spent the whole afternoon with a room full of us at the iHub. Besides the surreal stories he told of getting the this whole internet thing going, he also provided some much needed context into why things work like they do now and where we might be going with the internet in the future (the answer to that, apparently, is space). A big thanks to all of the community members who came and spent time with the guests, sharing their insights into the local startup and programming space. A big thank you to the VIPs for coming, and we hope to see them again.